Hover over or tap on a profile picture to see the speaker's bio. Many more speakers to be announced. 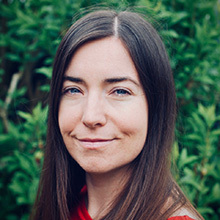 Dr Helen Harwatt is an international award winning researcher and scientific author specialising in the field of planetary health, with a focus on the environmental impacts of animal to plant protein shifts. Helen is a Farmed Animal Law and Policy Fellow at Harvard University looking at the role of livestock reduction in creating Paris-compliant food systems. 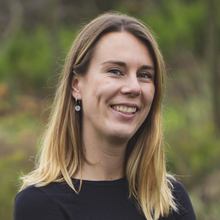 Helen also consults with Non-Governmental Organisations (NGOs) and institutes on sustainable food issues, helping to identify opportunities for implementing animal to plant protein shifts as part of sustainability and wellbeing policies, and quantifying their impact. Dr Marcela Villarreal is responsible for the implementation of FAO’s innovative strategies on partnerships with the private sector, civil society, academia and research institutions. She co-ordinated the implementation of the International Year of Pulses, a United Nations initiative to underscore the benefits of pulses for the environment, health, access to food, and food security. She coordinates the implementation of the Voluntary Guidelines on the Responsible Governance of Tenure of Land, Fisheries and Forests in the Context of National Food Security (VGGT), the initiative on the Principles for Responsible Investment in Agriculture (CFS-RAI), FAO’s policy on Indigenous Peoples, the Milan Urban Food Policy Pact, the Parliamentarian Fronts against Hunger initiative and the Decade of Family Farming, among others. 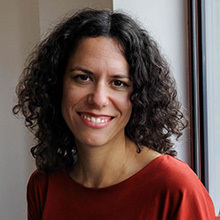 She has a PhD in Rural Sociology from Cornell University and a BA/MA in Systems and Computing Engineering from the University of Los Andes in Bogotá. 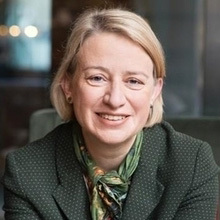 Natalie Bennett is former Leader of the Green Party. 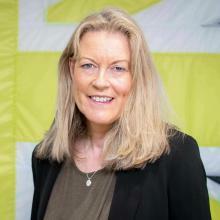 She took the Greens into the UK General Election in 2015, securing a large increase in support. A veteran blogger and well-known champion of sustainability, Bennett is now thinking and writing more and more about sustainable agriculture. She will be discussing a new policy report she has written on sustainability and land use. 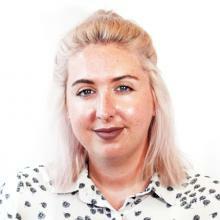 Lucy Siegle is an independent writer and journalist (broadcast and print). She specialises in communicating earth science and environmental stories and ethical consumerism. From 2004 to 2018 she wrote a weekly Ethical Living column in the Obsever Magazine and set up the Observer’s annual Ethical Living awards, attracting thousands of entries across the UK. Lucy Siegle is also known as a TV as a reporter and presenter on BBC1’s The One Show, and has been reporting on the problem of single use plastic since the show began in 2007. Chantelle is Head of Business Development at The Vegan Society. A large part of her role is to promote The Vegan Trademark to businesses and to develop relationships with existing Trademark holders. With the demand for vegan products increasing (18,000 of the 32,000 products registered with The Vegan Trademark were registered in the last 2 years) companies are regularly looking to The Vegan Society for insights on how best to cater to vegans. This means Chantelle is frequently out in front of big businesses across a range of industries talking about vegan products and advising them on their product offerings. Mona is Co-Director of May Project, an award winning grassroots project in South London, where she also produces & presents their radio show, Come We Grow, focusing on social issues affecting Londoners. She has ten years' experience across the non-profit and social policy sector, ranging from policy advising at the Cabinet Office; authoring reports for the think tank Demos; coaching social enterprise start-ups for the Big Lottery; running a youth club for refugees in Croydon and delivering frontline support to the refugee camp in Calais. 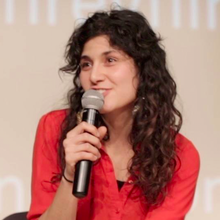 She’s herself the daughter of political refugees from Iran and grew up in Copenhagen. 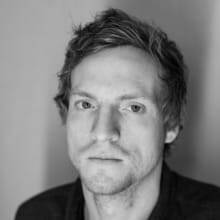 Robert Biel works at the Bartlett Development Planning Unit, UCL, teaching political ecology and an inter-disciplinary Masters module: ‘Food and the City’. A practising food-grower, Biel experiments a high-intensity Agroecology, emphasing self-organising natural balances and resilience to climate challenges. 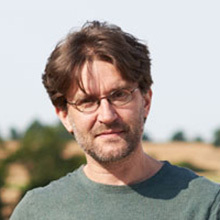 His recent books include The Entropy of Capitalism (Brill/Haymarket 2012), and an open-access Creative Commons e-book: Sustainable Food Systems – The Role of the City (UCL Press 2016), downloadable on http://bit.ly/2gxE7J2 . 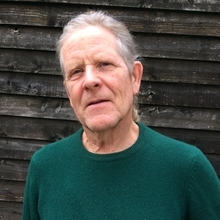 He writes regularly for The Ecologist magazine https://theecologist.org/ . Simon Billing is Executive Director of Eating Better an alliance of over 50 civil society organisations accelerating action for less and better meat and dairy for health, environment, animal welfare and social justice. Simon joined Eating Better from Forum for the Future where he successfully led Protein Challenge 2040. The first international coalition bringing together experts from the animal, plant and alternative protein industries with the aim of transforming how we produce and consume protein within environmental limits. Maresa set up and ran Moose’s Kitchen a local, organic, vegan cafe in St Leonards on Sea. Prior to this she worked for Sustain for five years, managing the Food Co-ops project which was part of Making Local Food Work and also as Five a Day Co-ordinator for Hastings Primary Care Trust which included setting up Hastings Farmers Market and The Community Fruit and Veg Project a social enterprise and veg box scheme. She has volunteered on several organic farms in the UK and abroad and studied Environmental Science at university. Vicki Hird MSc FRES is an award-winning author, expert, strategist and senior manager who has been working on environment, food and farming issues for over 25 years. 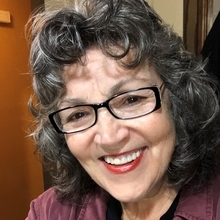 As Sustainable Farm Campaign Coordinator at Sustain, Vicki manages the farm policy and related campaigning and provides comment and guidance on these issues. Prior to this, she was director of Campaigns and Policy at War on Want. Renee is a former Texan rancher. She is the founder of the Ranchers Advocacy Programme. The Ranchers Advocacy Program was developed as a way to help transform farms and ranches in Texas and beyond. A native Houstonian, Renee remarried her husband Tommy Sonnen, a multi-generational cattle rancher in 2009 and moved to the ranch. She is also the Executive Director and Founder of Rowdy Girl Sanctuary in Angleton, Texas. 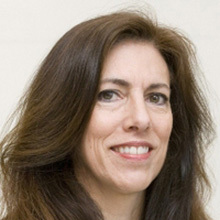 Joanna Long is a lead researcher and director of Ethical Consumer Research Association. She manages and delivers consultancy projects as well as researching shopping guides for the bi-monthly magazine. She has covered a range of topics in the magazine from green transport to sustainable food production and is the commissioning editor of the tax justice section. Joanna is also a director of Fair Tax Mark, a project that she has helped to shape over the last 3 years both as a director and in her previous role as project manager. She previously worked as a lecturer in human geography and continues to specialise in socially engaged research and technical writing. Her academic skills remain useful in her role on the Journal of Ethical Consumption editorial board. Nathaniel recently started a business in the fledgling hemp industry, having been in a secure job in the banking sector. Amongst a list of driving factors was the desire to reconnect with the rhythms of nature and to bring communities closer to the agri-food supply chain. 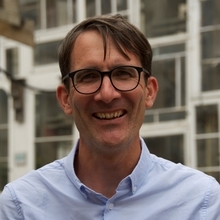 Founding Vitality Hemp in 2014 and co-founding the British Hemp Association in 2018, Nathaniel is committed to developing a modern relationship with this culturally significant crop which has huge environmental and economic potential within the UK and beyond. He is part of a new generation of farmers and small businesses which are striving to normalise one of the world’s most resourceful crops. 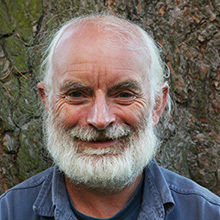 Brendan Montague is editor of The Ecologist, having worked in environmental journalism for 25 years. 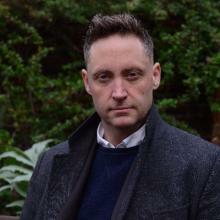 He has previously reported for the Sunday Times and Mail on Sunday, and published with The Guardian and the Independent. 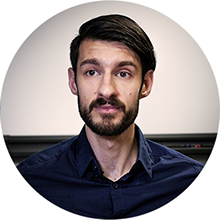 Brendan is founder of Request Initiative, a community interest company which makes Freedom of Information and Environmental Information Regulation requests for charities. 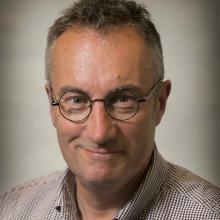 He is co-author of Impact of Market Forces on Addictive Substances and Behaviours: The web of influence of addictive industries (Oxford University Press). Colm O’Dowd is a biological scientist and also runs Middlethird Farm, a small organic coastal farm on the West Coast of Ireland overlooking Galway Bay. He has taken the farm through a number of innovation stages and is currently transitioning the farm from an animal- to a plant-based system. He believes that this change is necessary to build resilience in his local community and to curb greenhouse gas emissions associated with conventional forms of agriculture. The mission is to re-purpose the farm in the community through alternative farming activities and inspire others to farm in an environmentally conscious way. 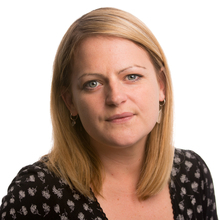 Carina Perkins is The Grocer’s buying & supplying editor, and oversees print and online coverage of issues across the supply chain including sourcing, new product development, branding, marketing and advertising. She also edits the annual Dairymen supplement and manages the commodities and pricing pages. Having worked in fmcg since she first qualified as a journalist, Carina specialises in writing about food sustainability, food policy and nutrition, as well as emerging consumer trends and farming industry issues. Nina Pullman is the editor of Wicked Leeks, a new online magazine from Riverford, the organic veg box company, covering sustainable food and ethical business. 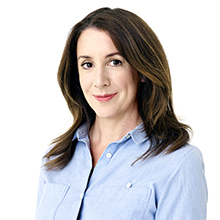 Previously, she was deputy editor of the UK's leading fruit and veg business magazine, Fresh Produce Journal, where she spent almost five years reporting on commercial fruit and veg production and supply. As a freelance journalist, she specialises in supply chains and sustainability, writing for the Guardian, Huffington Post and The Ecologist. In 2018, she travelled and freelanced through South America visiting farmers and food producers, to follow stories such as the boom in quinoa demand and its impact on Andean farmers. 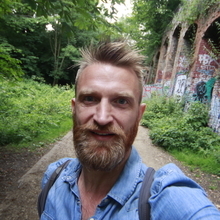 Daniel Raven-Ellison is a guerrilla geographer, National Geographic Explorer and founder of the campaign to make London the world's first National Park City. Last year he travelled the length of the UK to make a short film that reveals what we use our land for. Each second of the film equals one percent of what the country looks like from the air. Daniel will be introducing the film at the Grow Green conference. You can connect with him on Twitter at @DanRavenEllison. 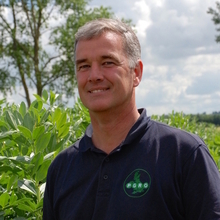 Nick Saltmarsh founded Hodmedod with two colleagues in 2012 after realising that fava beans were widely grown but little eaten in the UK, despite being a delicious and nutritious source of vegetable protein. Hodmedod's initial aim was simply to bring the beans back into British kitchens, but this proved the catalyst for further opportunities to develop the production and market for existing, forgotten and novel pulses and grains, including pulse flours and roasted pulse snacks. In 2017, Hodmedod won Best Food Producer in the BBC Food and Farming Awards, in recognition of its work to increase diversity on farms and in the food we eat, for the sake of farming and farmed landscapes, the environment, individual health and our food culture. 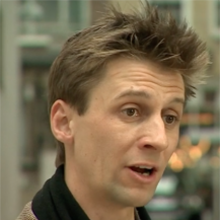 Guy Shrubsole is a campaigner and investigator at Friends of the Earth. He is currently leading their work to double UK forestry cover by 2050 as part of FOE's ambitions to make space for nature and transition the UK to net zero emissions. Guy led FOE's successful campaigns to protect Sherwood Forest from fracking, secure new government funding for natural flood measures, and stop a new opencast coal mine at Druridge Bay. 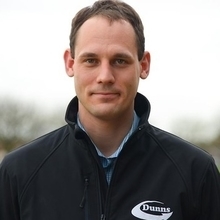 Franek is a Trader of Pulses at Dunns (Long Sutton) Ltd with over 12 years' experience. He is currently the President of Pulses UK, an association of all the UK's pulse processors, merchants, exporters and manufacturers who work together to encourage the production and consumption of pulses. 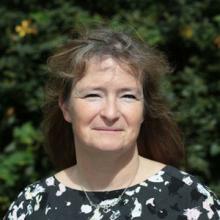 Franek has a degree in Primary Food Production and the Environment from Lincoln University. In his personal life, Franek helps run a hedgehog sanctuary with his wife. 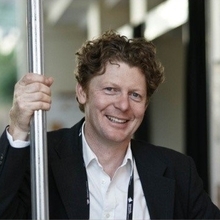 Marco Springmann is a senior researcher on environmental sustainability and public health in the Oxford Martin Programme on the Future of Food and the Nuffield Department of Population Health at the University of Oxford. He is interested in the health, environmental, and economic dimensions of the global food systems. He often uses systems models to provide quantitative estimates on food-related questions. John started his career in farming and has worked at every step of the food supply chain, having run food and drink businesses. As Senior Associate at BIC-Innovation as part of the NutriWales Future Foods project, John is working on research and development initiatives around Greener Protein. This involves universities, companies and ancillary industries collaborating to discover new opportunities for food and drink. Helen has been with Ecotricity, Britain's greenest energy company, for almost nine years. She works directly for the Founder, Dale Vince. Having started her career as a Food Technologist, she moved through the 'conventional' food industry and out the other side, realising that an organic and sustainable way of living was the way forward. From 1999 until 2010 she ran the Soil Association's organic certification programme for foods, textiles and beauty products. She also helped Ecotricity’s football club, Forest Green Rovers FC, transition to being the world's first and only vegan football club, and even ran the club for a season. Iain has been an organic producer since 1976, and grows a wide range of mixed veg on 19 acres of land at Hardwick Estate in south Oxfordshire. He is considered to be a leading expert on stockfree (Veganic) organic horticulture, and his farm is a model of productivity centred on biodiversity and green manure systems. His farm is now operated as a Community Interest Company and was the first to attain the Stockfree Organic certification in 2004. The farm has had no grazing animals and no animal inputs to any part of the farm for the past 30 years. John farms with his brother on a 100ha mixed farm at Little Bytham, near Stamford in Lincolnshire. He grows organic Marrowfat peas for Hodmedod as well as specialist wheats for local mills and bakeries in Nottingham and London. 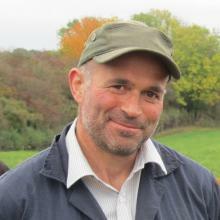 He has both campaigned for, and practices a process of, “Transition Farming”; breaking down the journey towards longer-term objectives of sustainable land and resource use into achievable, low-risk steps. He was a founding member of, and has helped to develop the Production Standards for, the Pasture-Fed Livestock Association. Nusa Urbancic is Campaigns Director, Changing Markets Foundation. Nusa joined in April 2015 and her role is to devise the strategies and oversee the implementation of the Foundations' campaigns, research and media work. 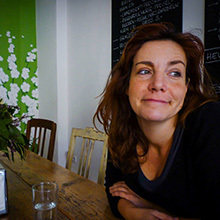 Before joining Changing Markets, she worked in Brussels-based NGO Transport & Environment as the Programme Manager of the Energy and Fuels programmes, advocating for more climate-friendly European fuels policy and leading T&E’s fuels team. 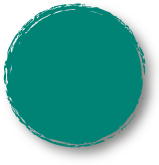 Nusa has an MA in International Relations from the University of Ljubljana and an LLM in Human Rights from the London-based Birkbeck University. 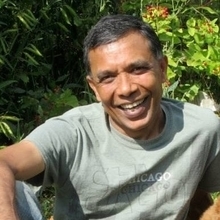 Kumar was born in Sri Lanka and spent his childhood working on the family dairy farm. He came to the UK after the civil war broke out in 1983 and completed an MSc in Sustainable Agriculture at the University of London. He has since worked on various livestock farms, most recently setting up a sheep farm in Devon. After years questioning his choice to rear animals for meat, he decided to donate 20 lambs to Goodheart Animal Sanctuary in Kidderminster. He now sells vegan masala dosa in Totnes, and wants to set up a horticultural enterprise growing vegetables for his street markets. Since November 2012 Roger has been CEO of the Processors and Growers Research Organisation. He graduated with a degree in Agricultural Plant Science from the University of Newcastle Upon Tyne in the 1980s and has spent the majority of his career in the agricultural seed and seed technology industries. Taking on a range of commercial roles, he has travelled extensively, picking up valuable insights from different markets, cultures and technologies across the sectors of forage, combinable and horticulture crops. Establish in the 1940s, PGRO is funded by grower contributions, grants and commercial research contracts and is focussed heavily on applied research and knowledge transfer for grower advancement in the production of pulse crops and vegetable legumes. 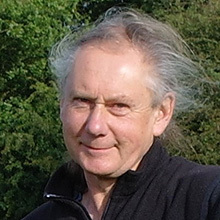 Alan Watson Featherstone is an ecologist, nature photographer and inspirational public speaker. In 1986 he founded the award-winning Scottish conservation charity, Trees for Life, and was its executive director for almost 30 years. During that time it became the leading organisation working to restore the Caledonian Forest in Scotland and took on ownership of the 10,000 acre Dundreggan Estate in Glenmoriston: work which inspired many other ecological restoration projects. His photographs have appeared in publications such as Time magazine and Encyclopedia Britannica. He has given lectures in more than 20 countries, and has received a number of awards for his work, including the Schumacher Award. 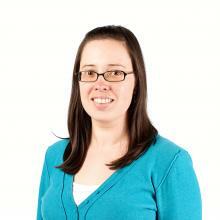 Laura Wellesley is a research fellow in the Energy, Environment and Resources Department (EER) at Chatham House. She works on issues related to sustainable diets, food security and climate change and her publications span the areas of healthy and sustainable food systems, global food trade risks, agricultural commodity supply chains, and trade in illegal timber. Laura joined Chatham House in 2013 as a project coordinator, later becoming research associate in 2014 and research fellow in 2017. Prior to joining Chatham House, Laura worked as a researcher for Global Witness. 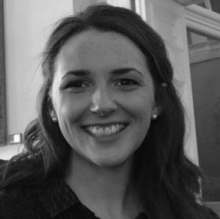 Laura is also a member of the London Food Board and has an MSc in Africa and International Development from the University of Edinburgh and a BA in French and Spanish from the University of Cambridge. Jay Wilde has worked on his family farm all his life, starting out milking a dairy herd of around 100 cows before changing to organic beef in 1997. Jay never felt comfortable with raising animals for human consumption and became a vegetarian in the early 1980s. For many years, Jay was trying to find a solution that would allow him to end an occupation that went contrary to his personal conviction and at the same time would allow him to keep his farm in agricultural production. With the help of The Vegan Society, Jay donated his cattle to Hillside Animal Sanctuary in 2017 and is now in the process of turning his farm to the production of stockfree arable and horticultural produce. Charity no. 279228. Co. no. 1468880.